Know what overcast is good for? It's just a big ole neutral density filter, albeit literally a cloudy one. 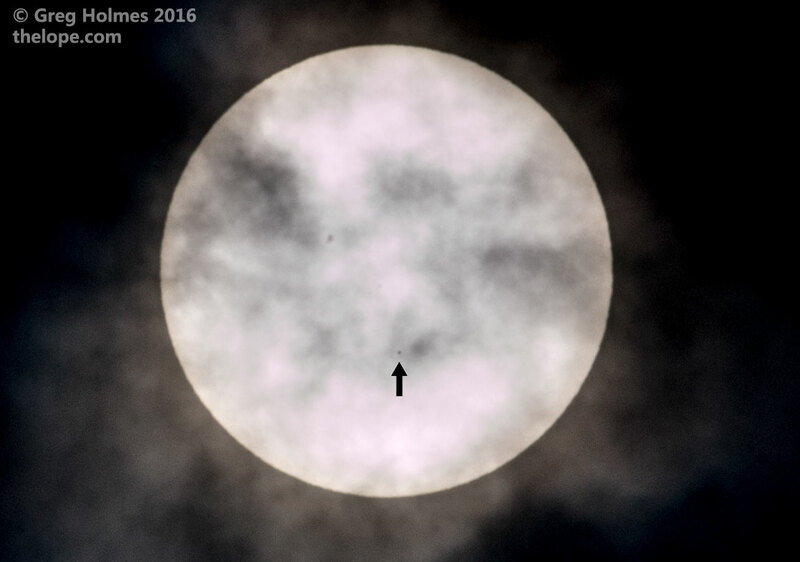 So here's the transit of Mercury across the Sun at 10:26 a.m., May 9, 2016, from Reno County, KS. I added an arrow to point out the tiny, fuzzy dot that is Mercury. The larger dark area above and to the left of Mercury is a sunspot. The Celtic Tenors - "O Holy Night"